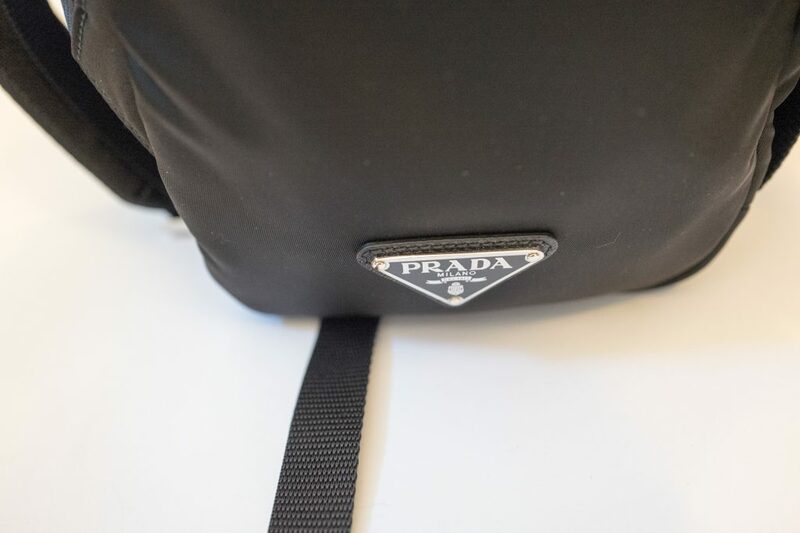 The backpack is the classic Prada nylon and saffiano leather backpack in black with an amazing saffiano leather robot on the front. 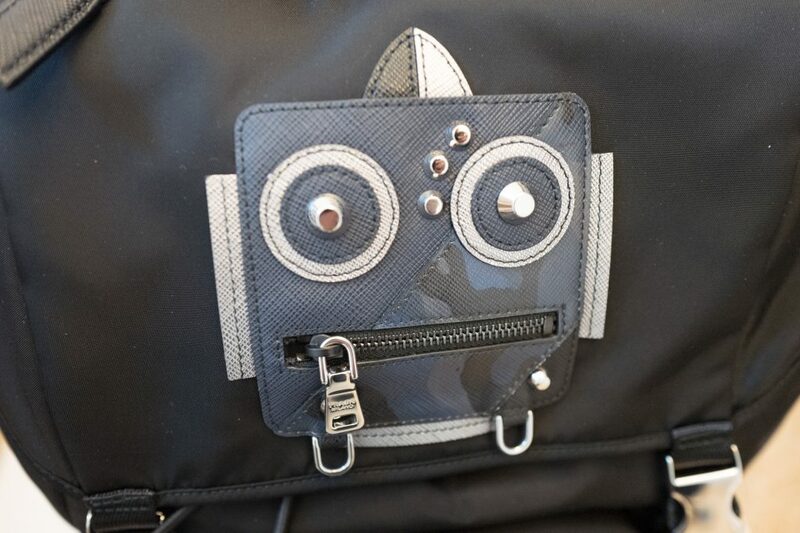 The robot just makes the bag pop, it looks great and I think at this stage it is the only one in the UK. You can get another robot one with just the head but not the body. 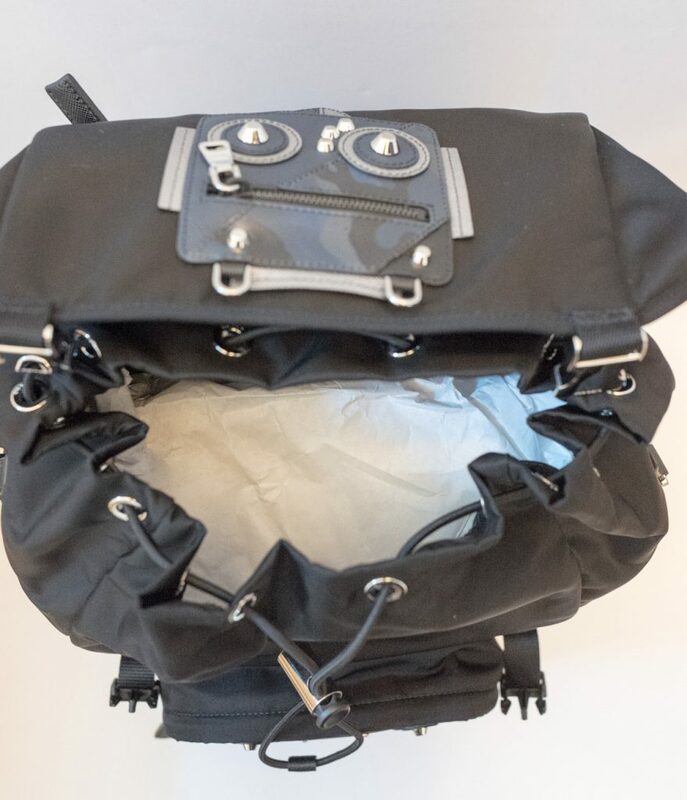 Starting on one side you have the Prada triangle logo at the bottom and saffiano leather zips and a hook for another robot on one side. 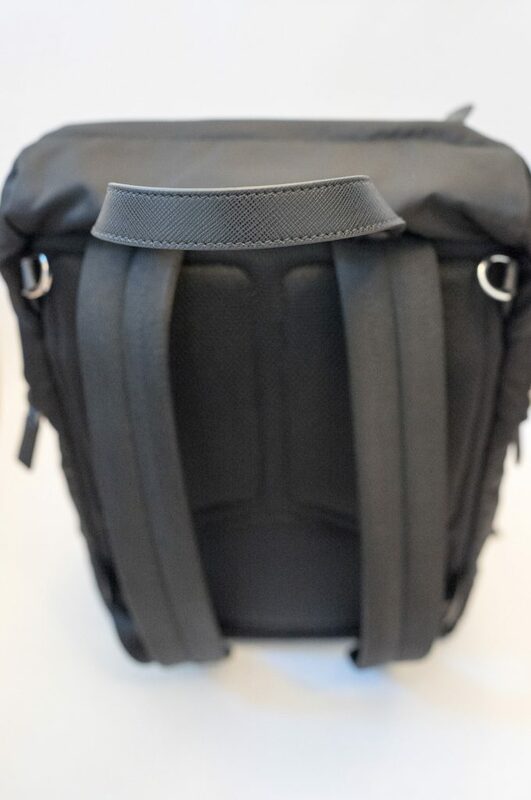 The classic logo at the bottom close up. 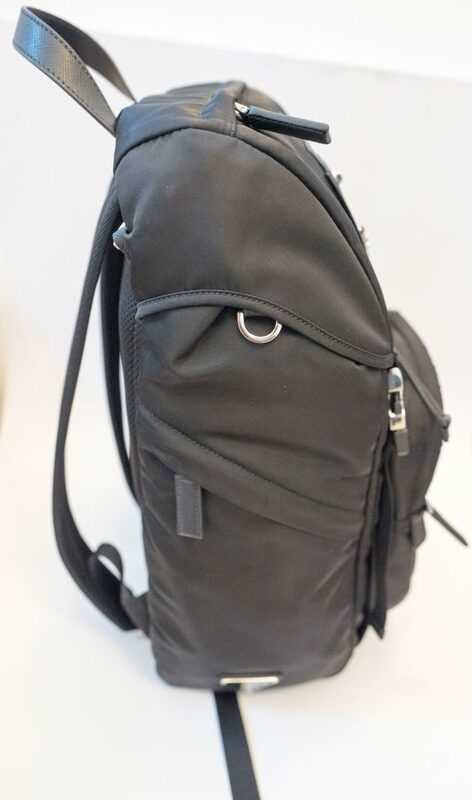 Moving to the back you have two backpack straps and a saffiano leather handle at the top, along with two further metal hooks. 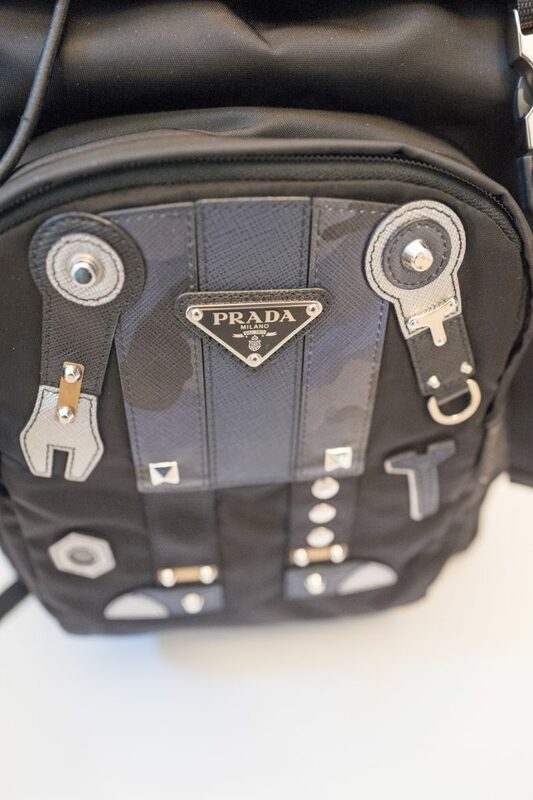 The robot logo at the top has a Prada logo zip that opens, the detailing is great on this robot, I like the different layers and stitching. 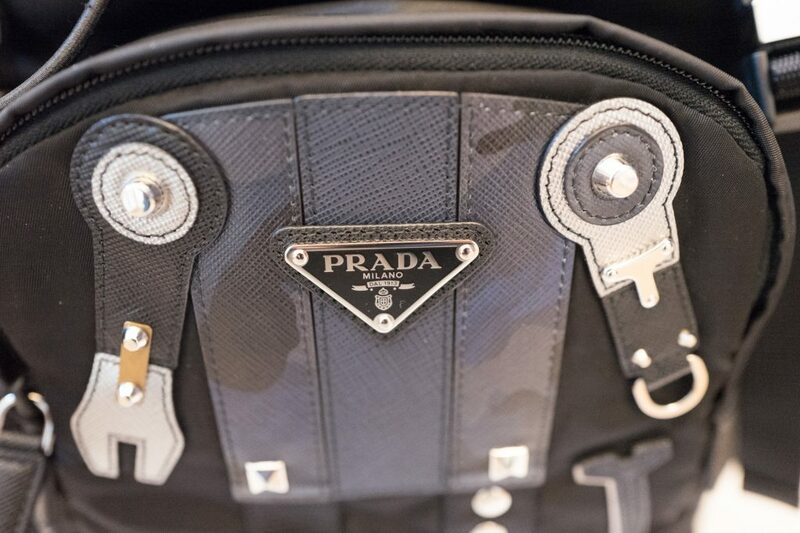 The bag has two metal buckles with the Prada logo engraved on each one. 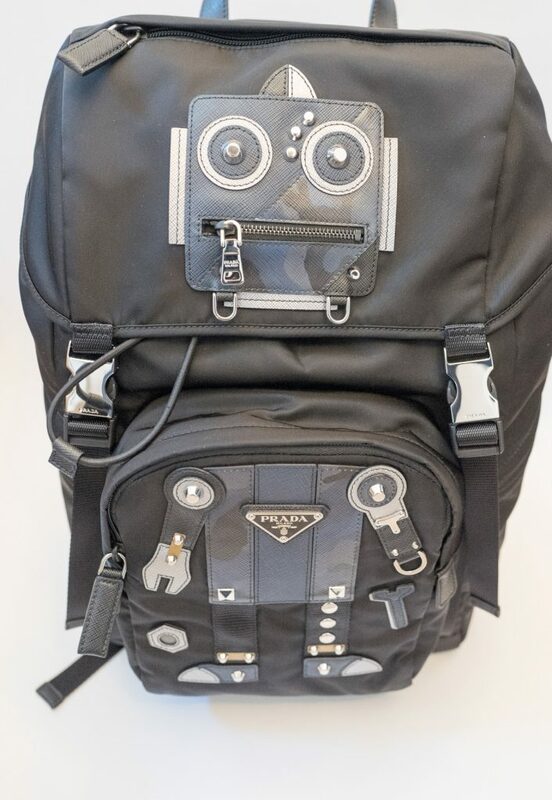 The Prada robot body is really cool, just like the head it has multiple sections of leather and metal detailing, there is also another Prada logo. 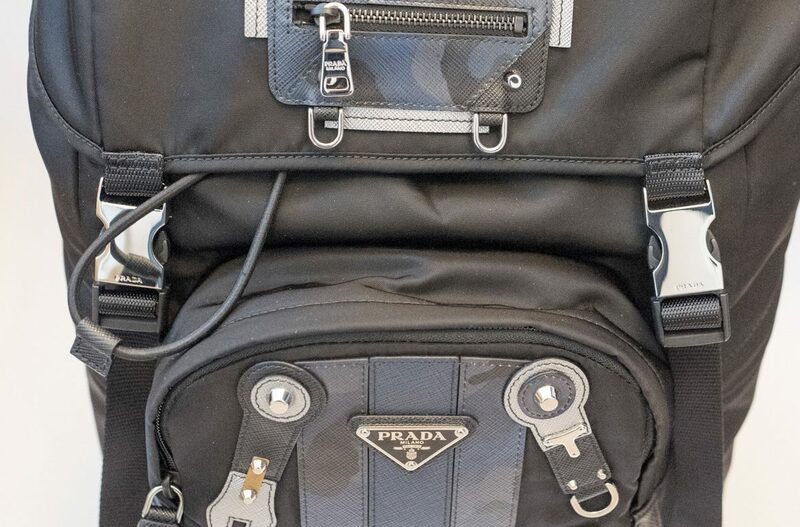 This is the first bag I have seen from Prada to have two Prada triangle logos! 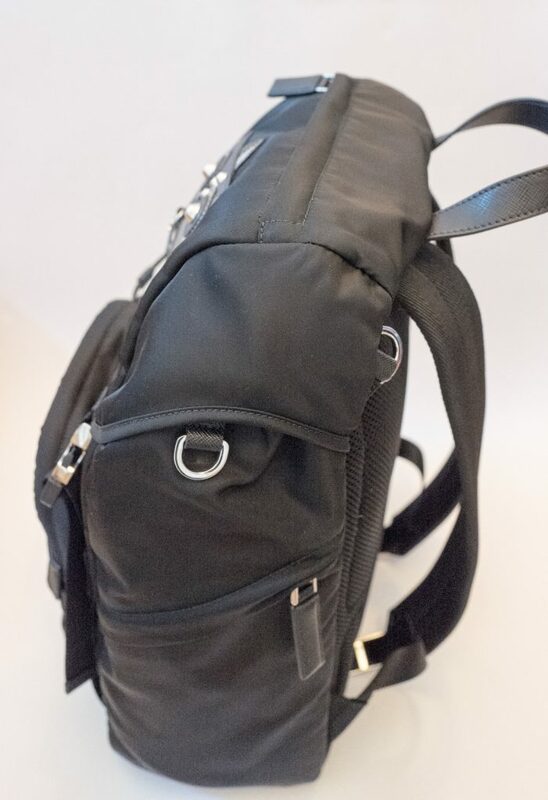 A closer look at the body shows the layering of the leather and metal details. I like how the right leg has three Prada logo metal buttons on it. 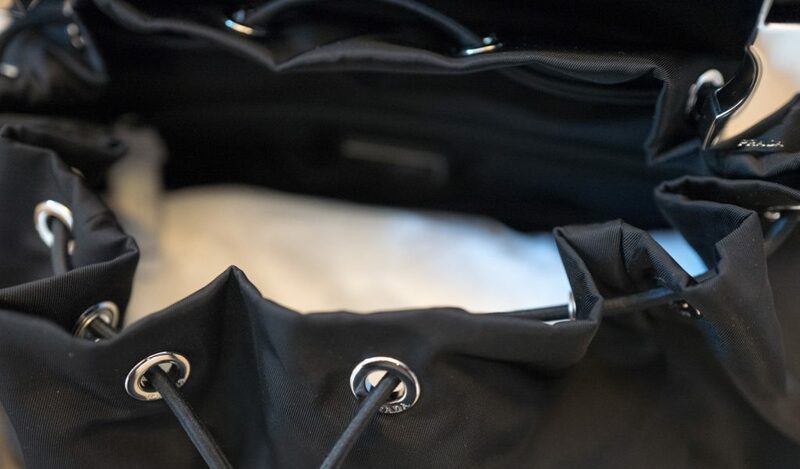 Opening up the top of the bag reveals the classic drawstring design with the central opening to store all your items. 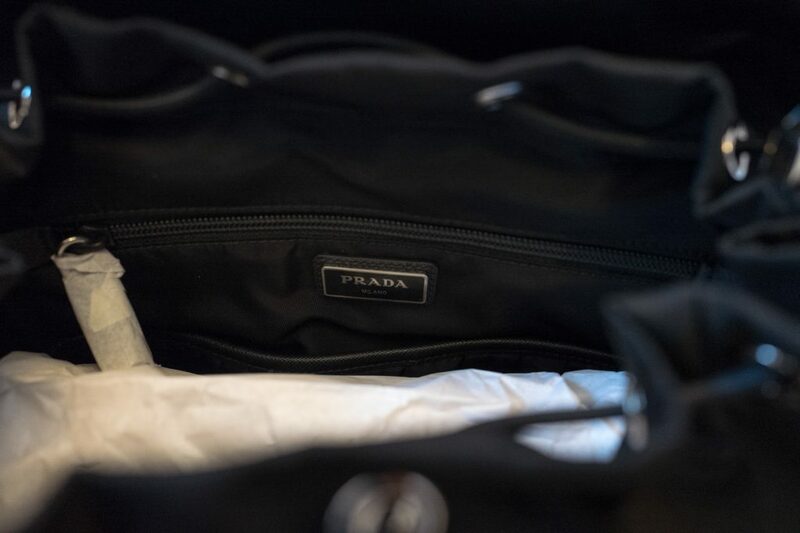 A closer look at the metal and you can see the Prada logo on each ring. 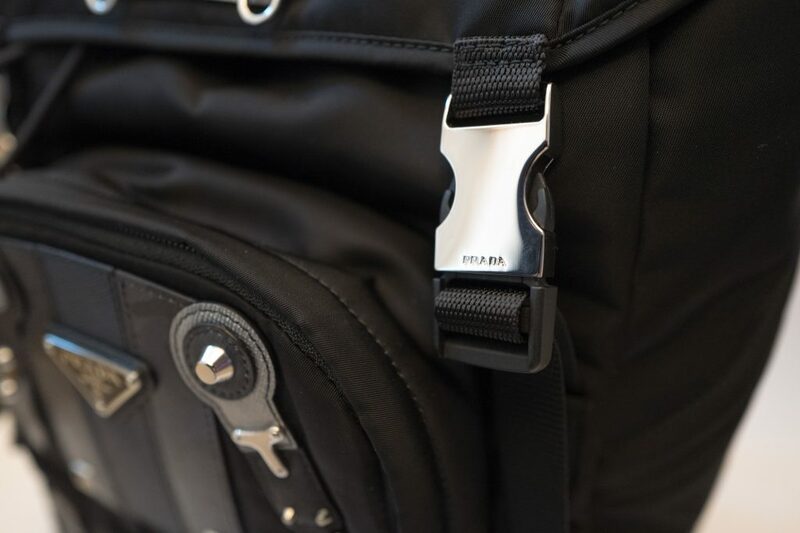 Inside there is a further pocket and the rectangle Prada logo in metal.